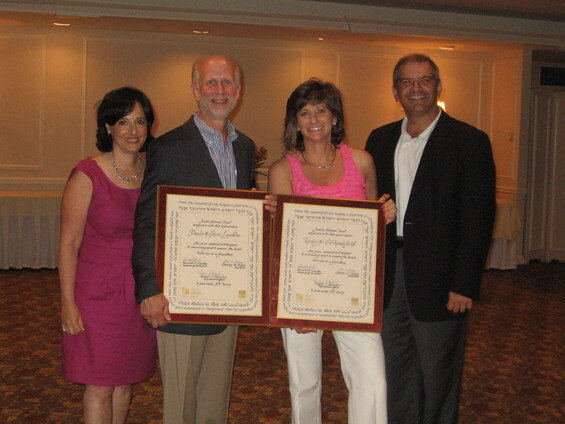 Jewish National Fund’s 2010 Golf Tournament honored Kathy and Ed Hershfield and Steven and Paula London, proud JNF & Hadassah board members. Golf co-chairs were Matthew Levy and Stephen Karp, with the tribute dinner being chaired by Ronald and Susan Lubin. Over 250 guests joined the evening festivities and all funds raised support the Arava Institute of Environmental Studies preparing future Arab and Jewish leaders to cooperatively solve the region’s environmental challenges.